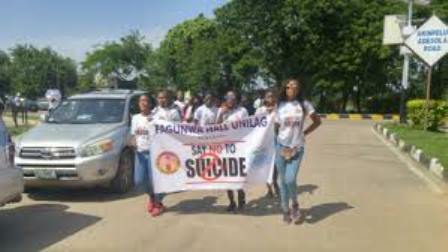 With the alarming rate of suicide and suicide attempts in the country, students of the University of Lagos have moved to combat it as they troop out in their masses on Thursday to join the Fagunwa walk against suicide. 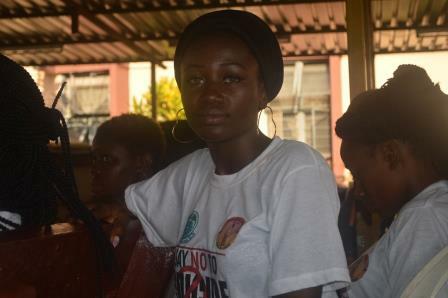 The event which was organized by the Fagunwa Hall of Residence started at about 11am. 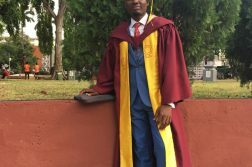 The student moved from one hostel to the other in a bid to sensitize people on why suicide is not an option to solving problems and live issues. 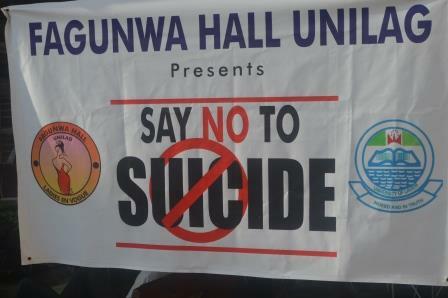 The Fagunwa walk against suicide was the first of its kind in the University of Lagos. In attendance at the walk were Faculty Presidents, Hall of Residence Presidents, Representative of the counseling unit and other dignitaries. 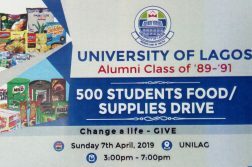 The event also featured a seminar which was done immediately after the walk at the Fagunwa Hall of Residence relaxation centre. 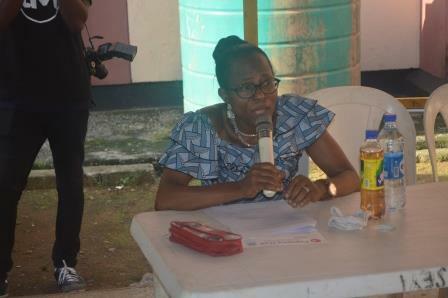 The seminar was facilitated by Dr. Akinsola Foluke, a psychologist and associate professor at the Department of Psychology, Faculty of Social Sciences, University of Lagos. Speaking with our correspondent, Aminat Yusuf, the Hall chairperson of Fagunwa explained the rationale behind the ground breaking event, According to her “we realized that the suicidal rate on campus and in Lagos state generally is on the increase, so we thought of creating awareness on depression and campaign against suicide.” Advising those feeling depressed, Yusuf urge them to see a counselor, they should speak up. 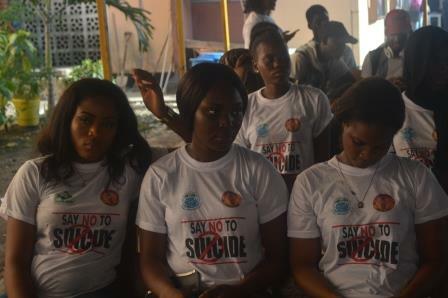 She further described the campaign as a landmark in curbing suicide in the university and beyond.